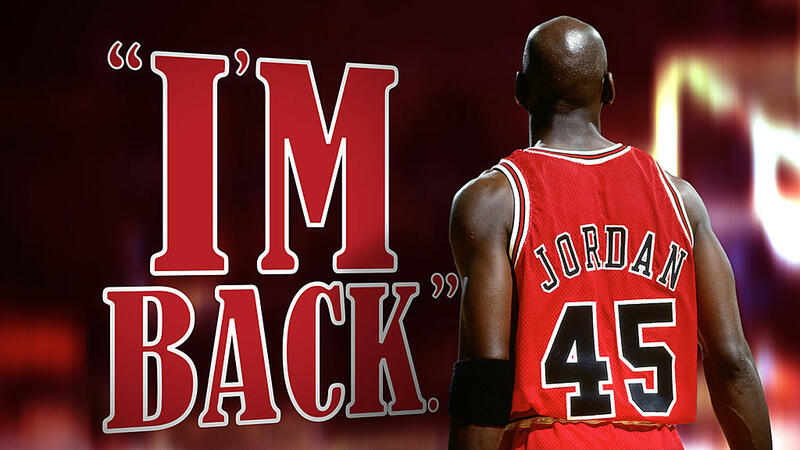 These two words "I'm Back" made for the most epic and memorable Press Release in the history of sports. 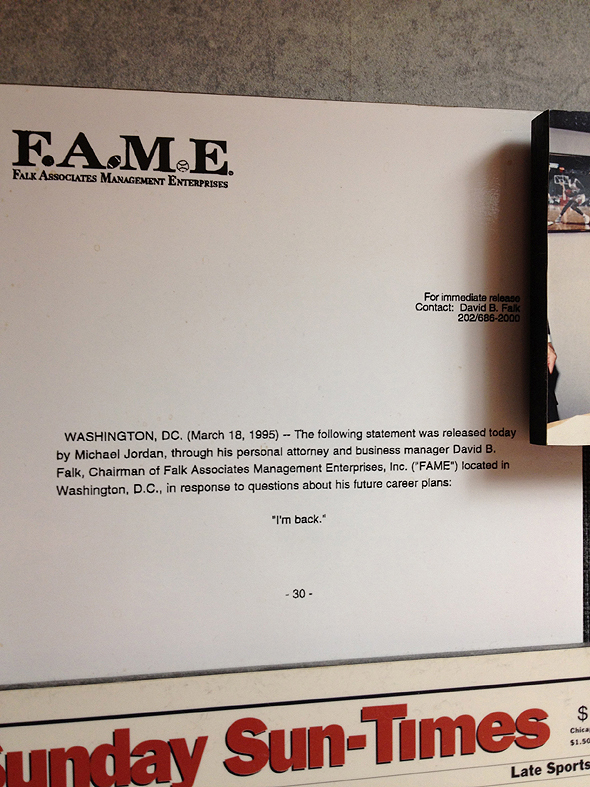 Featured here is an original Press Release that announced the words "I'm Back" to the entire world. 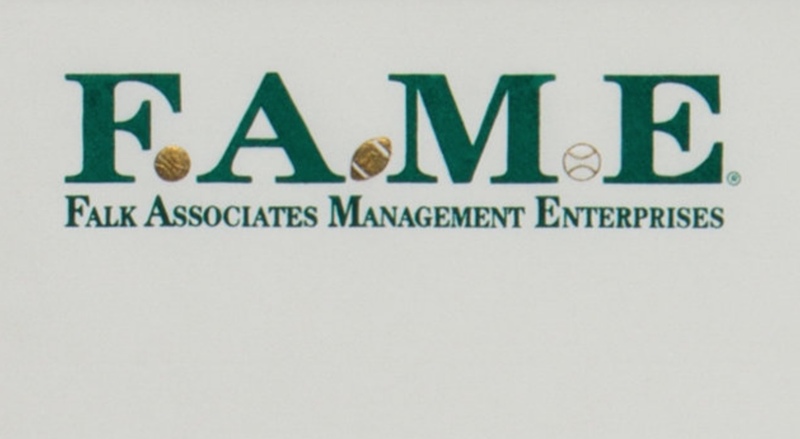 Upon Michael Jordan's to return to basketball, He and his agent David Falk at F.A.M.E. (Falk Associates Management Enterprises) went back and forth with the words that would be used to reveal MJ's return to the game of basketball. Finally, Jordan grabbed a piece of paper and wrote "I'm Back". Falk then summoned everyone at the office and released this exact document to the media on March 18th 1995. Alyson Sadofsky, who was the director of media services for David Falk's offices actually typed the "I'm Back" press release letter and then proceeded to spend the next two hours using both office fax machines at their office to simultaneously send faxes to Chicago news outlets and national media outlets. There are a total of three known press release type sets for the "I'm Back" announcement and this letter is believed to be the first fax sent to the Chicago Sun Times on March 18th 1995 and the type set matches the famous leaked photo (on the desk at the Chicago Sun Times) of the rumored first and original fax which is featured in this listing. 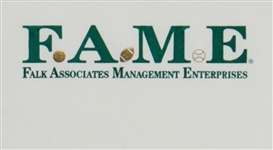 The secondary faxes that were sent to other media outlets featured a simplified black and white Fame company logo that would display better when faxed as many faxes during the time would come through blurry and would easily smudge. 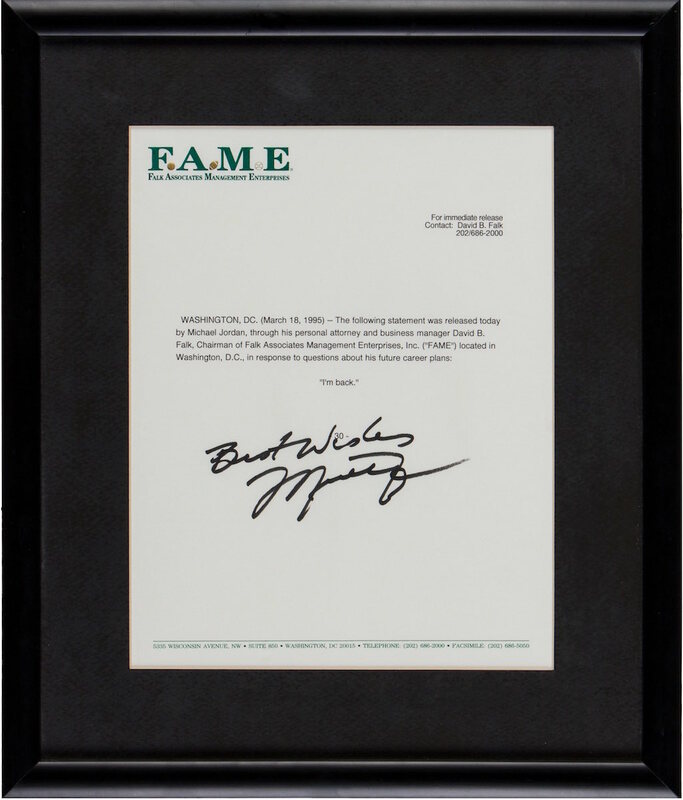 This historical document remains in pristine condition with the beautiful embossed/foil original letterhead all while in a secure frame. The rare "Best Wishes" inscription accompanies Jordan's bold and flawless signature. 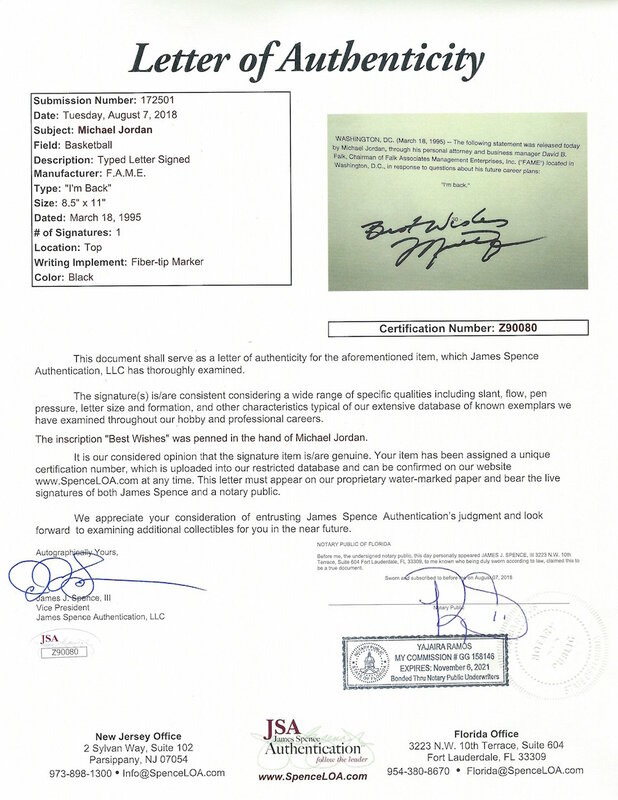 Jordan's signature is accompanied by a full Letter of Authenticity from JSA. The press release itself will be accompanied by a full detailed auction Letter of Authenticity from Infinite Auctions that guarantees the authenticity of this one of a kind item for life.